We’re at the cinema again and the film we’re here to see is Dark Horse, a charming documentary about the racehorse Dream Alliance. Bred by a consortium of working class people from a former pit village in Wales, the horse went on to become a major player on the racetrack and this is his story, told by the people of the village. It’s an absolute charmer of a film and one which I would normally award more review space to, but tonight is a little bit different, because it’s mostly all about the cinema; the recently refurbished Savoy in Heaton Moor, and frankly that’s something I never expected to be able to say. 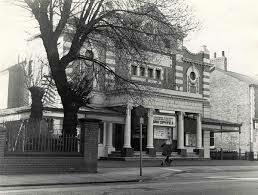 The Savoy has been in Heaton Moor since 1923 and it’s seen some changes along the way, not all of them for the better. The last time I was here was shortly before it closed down and the place was in desperate need of some TLC. Grubby, dilapidated and worn down by years of neglect, there were maybe half a dozen people in the audience. I remember joking that I wouldn’t visit again unless I’d had my malaria shots first. But what a change is here, my friends! What a change indeed. But it’s when you go into the auditorium that the transformation really hits you. Wow! Can this actually be the same place? The looks of delight on the faces of each successive person who came up the stairs told the story. The word ‘luxurious’ is the first one that springs to mind – and the design team have cleverly avoided turning the place into one of those utilitarian boxes that seem to be all the rage now, opting instead for a traditional look, all wine red velvet, soft cushions and art deco flourishes, a look that hints at the long tradition of the Savoy. The size of the place was also a shock. Around the time of my last visit, much of the back of the cinema was cordoned off and you didn’t really get the full impression of the length of the place, which now seats around 850 customers. We were lucky enough to secure one of the plush double sofas towards the back and I can’t ever remember watching a film in such total comfort. Oh and in case you were thinking that old and classic meant shonky equipment, don’t be fooled! 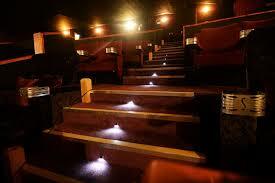 The Savoy utilises the latest digital technology and crystal clear Dolby surround sound. The Savoy is something to be cherished, so please repay all that hard work by supporting the place. It’s one of only a few independent cinemas still existing in the North West. To step into that auditorium is like stepping back into a more gracious age, a time when cinema was King. The good news is, it looks as though those days are back. Oh, and I nearly forgot. The bar does an excellent sauvignon blanc! There’s no other way of saying it. 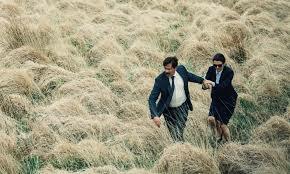 The Lobster is weird. This surreal blend of dark comedy and occasional violence won the Jury prize at this year’s Cannes Film Festival and it represents Greek director Yorgos Lanthimos’s first foray into the English language. It was strangely heartening to see that despite its unabashed art house ambitions, it had somehow managed to pull a decent crowd into a multiplex on a Sunday afternoon. Gratifying too, that only a few people walked out of the showing shaking their heads. David ( a barely recognisable Colin Farrell) finds himself dumped by his wife of twelve years (well, eleven years and one month, to be exact – the film is very pedantic about things like that). In the dystopian society in which the story is set, this means that he soon finds himself whisked off to a mysterious seaside hotel, where he has just forty five days to find himself a new partner. If he fails in his quest, he will be transformed into the animal of his choice and ‘set free’. David opts to be a lobster, because he’s always been quite good at boating and water sports. Meanwhile, he and his fellow guests go out on daily hunting expeditions in the forest, shooting ‘loners’ in the nearby woods with tranquilliser guns. For every loner they bring back, their time at the hotel will be extended. On his first day there, David meets up with ‘the limping man’ (Ben Whishaw) and ‘the lisping man’ (John C. Reilly) and forms an uneasy alliance with them – in this world, people are defined by their characteristics – David, for instance, is shortsighted. The hotel is presided over by Olivia Colman and her partner, (Gary Mountaine) who can always be called upon to perform a hysterically funny version of a Gene Pitney number, when required (trust me, it works!). 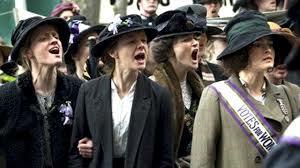 Indeed, the first half of the film, is often laugh-oh-loud funny. Whishaw introducing himself to the other guests is a particular delight. In the later sections, when David goes on the run in the forest and falls under the wing of a survivalist leader (Lea Seydoux), the laughs are somewhat harder to find, but the narrative still holds you in its grip, right up to the tense and decidedly unresolved ending. 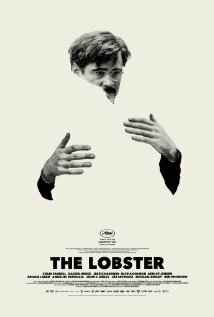 Yes, you say, but what is The Lobster actually about? Good question. For me, it’s an allegory about relationships and the immense pressure that is placed upon them by the expectations of society. It’s about the way people have to compromise with each other in order to coexist. And it’s about mankind’s inherent selfishness, the casual cruelty that people will often inflict upon one another. It’s by no means a perfect film – but in its own, unconventional way, it’s more challenging than anything else you’re likely to encounter at the cinema, these days. And one thing’s for sure. You’ll talk about it afterwards. When I last reviewed a Guillermo del Toro movie, I expressed the fervent wish that he would abandon the thick-eared nonsense he was currently engaged on – in which giant robots repeatedly thumped reptilian monsters in the head – and went back to the kind of cinematic terrain he’d mined so brilliantly in Pan’s Labyrinth. While Crimson Peak isn’t exactly that, it’s about a million miles away from Pacific Rim, which is something to be extremely thankful for. What we have here is a gothic ghost story and if we’re looking for film precedents, maybe the best of Hammer Horror, as directed by Terrence Fisher or Roger Corman’s 60s interpretations of the works of Edger Allan Poe, might be the appropriate places to look. 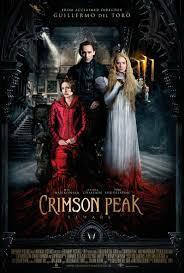 Crimson Peak is a gorgeous piece of film making – the sumptuous look of the production, the painterly evocations of the settings are a cineaste’s delight, while the story exhibits all the conventions of the true gothic horror story – histrionic and compelling in equal measure. Aspiring novelist Edith Cushing (Mia Wasikowska) (note the tribute to Hammer horror actor, Peter, right there) meets up in New York with baronet and would-be inventor, Thomas Sharpe (Tom Hiddleston) and immediately falls under his spell, despite the misgivings of her rich industrialist father, Carter (Jim Beaver). Almost before we can draw breath, Carter has been brutally murdered (a typically Del Toro scene of extreme violence) and Edith is whisked away to Sharpe’s remote Cumbrian family pile, Allerdale Hall, a derelict mansion that makes the Amityville House look like a cabin in Happy Valley. Mysterious Sister, Lucille (Jessica Chastain, struggling a bit with her English accent) goes along for the ride. The house itself is an extraordinary piece of design, as much a character as any of the human actors, and Edith soon discovers that there are secrets hidden in its shadows – secrets that are being explained by ghostly apparitions. It’s not quite a perfect production – there are one or two lines of clunky dialogue that invoke involuntary smirks and, like so many other directors, del Toro needs to learn the basic lesson that CGI ghosts are simply not as terrifying as mere actors dressed up in rags and makeup – but this is the kind of filmmaking that hasn’t been attempted in a very long time, and mostly it pays off handsomely. 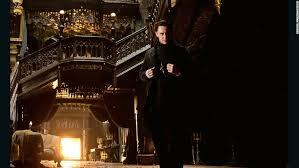 Literate viewers will spot references to Jane Eyre, The Turn of the Screw and a whole collection of other literary and filmic references, but the best thing about Crimson Peak is the sumptuous look of it. Del Toro’s origins as an illustrator are writ large in every scene. Curiously though, while every imaginable trope of gothic horror is on display here – clockwork dolls, moths, mysterious labyrinths and ghastly spectres – it’s the occasional excesses of physical violence on display that scare us much more than any of the supernatural elements. This is sterling stuff, though, and should keep del Toro’s legions of fans happy while we wait to see what he will do next. That would seem to be the overriding message of Denis Villeneauve’s white-knuckle ride of a thriller in which FBI operative, Kate Macer (Emily Blunt) finds herself mixed up in the violent world of the Mexican drug cartels. 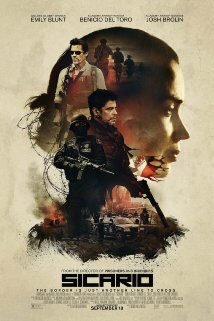 Assigned to work alongside Matt Graver (Josh Brolin) and the mysterious Alejandro (Benicio Del Toro, looking increasingly like Brad Pitt’s Puerto Rican twin) she starts off with high hopes and good intentions, as the team work their way towards the Mister Big who is responsible for the murder of hundreds of innocent people; but she soon discovers that, in this shady operation, the good guys are pretty much indistinguishable from the bad ones. Blunt, of course, cut her action chops on the seriously underrated Edge of Tomorrow and she’s on excellent form here – but it must be said, that Taylor Sheridan’s script is incredibly misogynistic. Poor Kate is beaten, throttled and crushed at every opportunity and as the one character in the film with any apparent sense of decency, the film’s bleak conclusion seems to bray the fact that women should keep their nibs out and leave the rough stuff to the big boys. And wouldn’t it be nice if, just for once, a character’s motivations weren’t based around his desire to revenge himself on the man who killed his wife and daughter? This is a shame, because in most other respects the film works brilliantly – there are tense shootouts aplenty, gripping covert operations and a nightmarish vision of Juarez that certainly won’t make it into the holiday brochures. 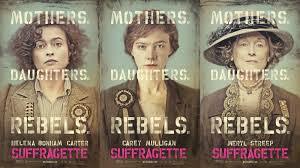 But when the film’s central character is a strong woman, trying to stand tall in a male-dominated environment, her eventual failure to do so does seem suspiciously like a missed opportunity. In 1974, tightrope walker Philippe Petit performed a stunt that defied belief. He strung a wire between the twin towers in New York (illegally) and walked backwards and forwards across it eight times while an entranced audience of passers-by watched in stunned amazement. The ‘Coup,’ as Petit called it, has of course already been the subject of a film, James Marsh’s riveting documentary, Man On Wire (2009), but Petit only had a couple of still photographers with him. So this is Robert Zemeckis’s attempt to reconstruct the event. We open with Petit (Joseph Gordon-Levitt) talking directly to camera. Gordon-Levitt is a charming performer (considerably more charming than Petit himself who was famously unfaithful to his long-suffering girlfriend, Annie, played here by Charlotte Le Bon the night after the Coup, a fact that the film makers choose to ignore). Indeed, the charm offensive may be what skewers the early sections of this, as a young Petit conceives his dream of walking between the towers (in a dentist’s waiting room, as it happens), enlists the help of circus stalwart, Papa Rudy (Ben Kingsley) to teach him the secrets of wire walking – and mawkishly romances Annie, who, when we first meet her is a street performer, bashing out drippy ballads on an acoustic guitar. The tone here is too whimsical for what follows, too self consciously comic for comfort and at times it threatens to derail the film completely. Matters aren’t helped by one of the murkiest 3D prints I’ve ever seen, which sets the first half of the story in deep shadow. The momentum is happily regained somewhat once Petit and his ramshackle bunch of accomplices actually set about trying to achieve their objective. This section is filmed like a heist movie, with the tension steadily rising as the team try to get everything in place for the walk. The Coup itself is a hair raising, terrifying, vertigo-inducing nightmare. I sat there, desperately reminding myself that history has already assured us of the outcome of the exercise, but it was to no avail. I’m not particularly good with heights and watching Gordon-Levitt walk back and forth, kneel down and at one point lie down on that narrow steel cable must have taken several years off my life. If the rest of the film had been up to this standard, it would doubtless have been granted five stars much higher score. As it is, that uncertain first half is hard to forgive, particularly when it’s coming from a director of Zemeckis’s stature. A warning though. 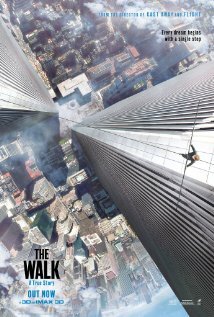 If you genuinely suffer from vertigo, this really may not be the film for you. The sleepy suburb of Heaton Moor is all of a buzz at the moment – new dining establishments seem to be springing up on every corner and even the iconic Savoy cinema is currently being restored to its former glory, complete with doric columns and a programme of films that people might actually want to see. So it was interesting to hear that in the midst of all the bustle, Damson’s ebullient owner, Steve Pilling, had quietly taken over the Moortop pub, right across the road from his celebrated gourmet restaurant. 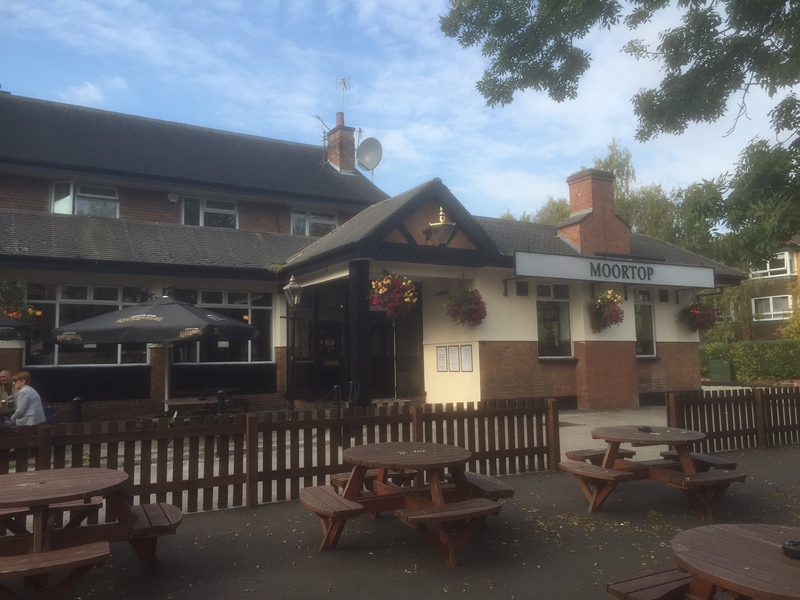 To be honest, the Moortop was always a bit of an anomaly here: it had the ambiance of your average Weatherspoons and specialised in the kind of cut price, ‘pile it high’ deep fried nosh that gives pub grub a bad name. To be fair, the latest incarnation is just a temporary stage. In the New Year, the place will be receiving a full upgrade (more of that when we have the information.) For the moment, its been given a lick of paint and offers a small but classy menu with all items reasonably priced – the ‘proper’ Sunday dinner, complete with a tasty vegetable soup comes in at a tenner – pies and pizzas are priced around £6.75. So you don’t have to break the bank to eat here. The afternoon we called, we presented them with something of a challenge. There were six of us to dine, three of us vegetarians – but after a little uncertainty, we all found things we were happy to eat. Susan opted for the beef dinner and it was indeed everything you’d expect. Preceded by a small bowl of deliciously creamy parsnip soup, the beef was perfectly cooked, the accompanying vegetables just al dente enough and the Yorkshire pudding (always the trickiest thing to get right) light and crispy. The rich red wine gravy came in its own pot and made a perfect accompaniment. One of the veggies opted for the same meal without the meat, when she was told that the chef could provide a suitably non-meat gravy. 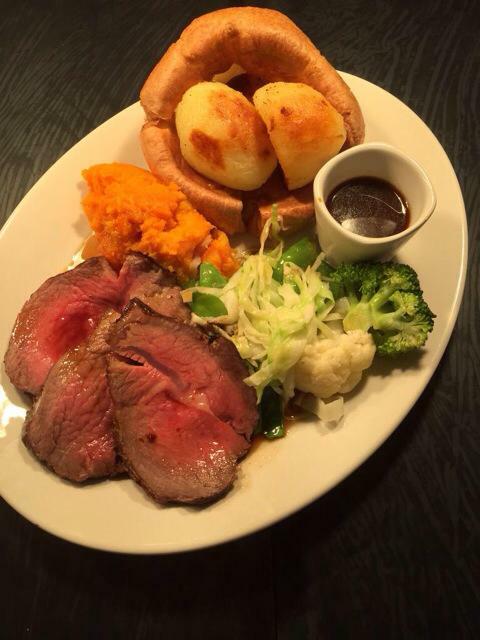 The absence of beef was compensated for by the addition of an extra Yorkshire pudding. Good move! I sampled the Feta Cheese pie (as did two others in our party), which was satisfyingly flavoursome, the pastry crisp, the filling rich and creamy. It came accompanied with chips, a generous dollop of Manchester caviar (mushy peas) and the aforementioned red wine gravy. All in all, a satisfying family Sunday dinner at a great value price. Would we go again? Yes, indeed! It will be interesting to see what plans Steve has for the place in 2016. In the meantime, get on down there and enjoy.